Whether you work with corehelp in lab or onsite, you’ll get the same quality service performed by a Certified Mac Technician. Electrostatic discharge is a serious issue when handling electronics. ESD events may occur without a visible or audible spark, and the components affected can suffer permanent damage. At corehelp, we take every precaution to prevent static damage to your Apple product. corehelp can assist with hard drives, optical drives, logic boards, LCDs and everything in between. We can repair any part on any computer in Apple's lineup. 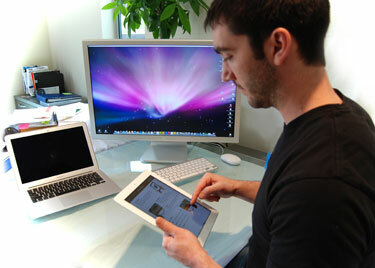 From iMacs to Macbook Pros, we have the knowledge and parts to repair it all. corehelp can provide the same expert repairs and professional level of service for your ailing Mac in onsite housecalls. In addition, we can help with your wireless Internet and printer set up, tutorials to advance your Mac skills and basic troubleshooting for symptoms you just can't seem to diagnose on your own. You'll get the same great service from the comfort of your own home or business -- without the hassle of taking apart and transporting your equipment. corehelp can provide remote support by simply connecting to your Apple computer using encrypted secure software that is simple to use and set up. Fast, easy and efficient!